The Daily Wire: Rashida Tlaib Attacks President Of Pro-Israel Group. He Flattens Her. Yesterday, the JTA published an article by Ron Kampeas about my strong criticism of actor Natalie Portman for falsely condemning Israel for “atrocities,” condemning Israel’s response to Hamas’ violent riots in Gaza and attempted invasions of Israel’s border, and refusing to come to Israel to accept the Genesis Prize. The article referenced my tweet about Ms. Portman’s decision in which I raised and condemned the “belief that beautiful women aren’t too bright.” Although not intended, I now realize that my comment could be construed as offensive and I sincerely apologize for it. I do not retract my criticism of Ms. Portman’s decision not to go to Israel and accept the award, but I should have focused solely on her decision, without any reference to gender or appearance. In the article, I also responded to a question from Kampeas by referring to women executives at the ZOA; the article makes a specific reference to one, Susan Tuchman. I unfortunately didn’t choose my words carefully and thoughtfully and regret my comments. I apologize to Susan, to all the other women who work at the ZOA, and to all our employees, women and men, who fight hard for Israel and the Jewish people every day. They all work here because of their talents and abilities, their passion and commitment, and their valuable contributions to our work. 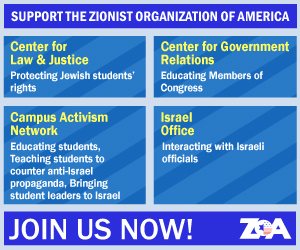 I did not intend to offend, hurt or denigrate any of our employees or the work we are so proud to be doing at the ZOA. To all of them, I sincerely apologize.